Strengthen your brand’s identity, increase your followers, boost engagement, and gain more social media friends. Let me guess that sounds like your some of your main business goals? Guess what, we can help you do that! We’re sharing our 15 best strategies for spontaneous social media engagement! Social media is all about being social (duh!). Make sure people can tell you’re a human and not an automated robot. Write in the way you would speak and don’t shy away from writing in the first-person perspective (“I”). Use people’s first names to acknowledge that they are real and not just another order number. Use your first name and a friendly profile picture of yourself to show that you’re also a real human. Read what people are saying about you and to you (see #10 below!). Remember what your Mama taught you: respond to someone kindly and quickly. The same truth applies to your customers or potential leads! The more active you are on social media, the more active your followers will be on your posts and pages! After all, why would they bother to comment if they notice that you never reply? Did you know that 90% of people prefer reviews by other customers instead of company ads? If your customers are actively reviewing and commenting on your social media profiles, your potential customers will take note of that! Make sure your answers are affirming, informative and helpful. Avoid simply replying with “yes” or “no” - give a more in-depth answer and try being more friendly. Respond to all comments (if possible). People are more likely to comment if they know you are actually reading what they write. Even a simple “Thank you so much!” goes a long way! If you can respond immediately, there’s a chance that the conversation will continue. Seeing a thread of comments back and forth shows your audience that you want to get to know them better. Responding promptly and kindly is a great habit. But don’t merely reply and allow the conversation to end - keep talking! Ask a question at the end of your comment. Answer their question by directing them to helpful content. Remember the example above in point #3 about the customer who was unhappy with your makeup product? Refer the customer to another blog, article, product or service that you offer. People share information or post about things they are passionate about. We all have Twitter friends who share their political views, Facebook friends who share their medical and nutrition preferences, and Instagram friends who show pictures of their workouts or travels. People share what they care about and so should your company! It can strengthen your reputation and increase engagement with the people who relate to your passionate stance for social justice. Make your views entertaining, engaging and shareable. For example, Oreo did a fun campaign where they transformed an oreo cookie into an icon of historical events happened on that day. Share events you’re attending or causes that you’re supporting. Invite your followers to join in with you! Why not go on a hunt for new friends? Send friend requests to the followers of similar businesses in your industry. Join new groups or conversations. Share content from similar companies and tag that company so their followers will notice you. Just share awesome content that people want to discover! It makes you a credible source and a helpful resource. 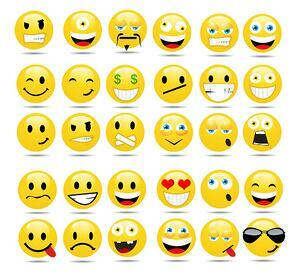 Emoticons give your brand personality and playfulness, and can demonstrate your brand personality! Actually, you can increase your comments by 33% and boost your likes by nearly 57% when you use emoticons. A smiley face makes people feel like they’re interacting with a real person. Emoticons represent emotions, which are attractive to your audience. When you have to say something harsh or negative, an emoticon can soften the blow. Find new friends who have similar interests by joining a Facebook group, or engage in a discussion that will spark new ideas for your brand on a LinkedIn forum. Remember that you should join these groups to stimulate discussion, jump in on other conversations, or ask great questions! Remain active and only promote your content while you are an active participant. People love to hop in on an open conversation about down-to-earth questions. Ask questions that your followers may have, plus questions that stimulate interest in your brand. You will not only share helpful details but also fosters a tangible connection between your brand and your customers. If a higher-up executive hosts the Q&A, your business will come across as more relatable. Host a Q&A to tell your audience about promotions and new products. Ask your followers for their questions in advance so you can prepare your answers. Include your PR team so you’ll be prepared to answer tough or random questions that come up. Remember how folks enjoy asking and answering questions? Well, it turns out that they also want you to value their opinion. Encourage your followers to share their thoughts about your product, customer service, brand or even what they wish you sold. This solidifies trust, builds up loyalty, and strengthens your brand. Use Surveymonkey to design a short survey that can be emailed or posted on social media. Don’t ask more than ten questions per survey, and don’t offer more than a few options on a poll. Don’t forget to leave a blank spot for people to write in their response. It’s acceptable (and encouraged) to offer an incentive when you ask your audience to take a longer survey. A discount coupon is always a winner! Require entries to like, follow, or subscribe to your social media accounts or email list. Give an excellent product away for free! Either give one of your own or find a product that your followers are sure to love. Clearly outline the specific ways to apply and the contest rules. Allow your audience to be the judge. Ask them which picture caption, quote, or product is their favorite. Sending direct Twitter messages or simply posting on Twitter is a one-way street. But having a Twitter chat with a branded hashtag is like a multi-lane boulevard! It’s a real-time conversation with a huge audience. 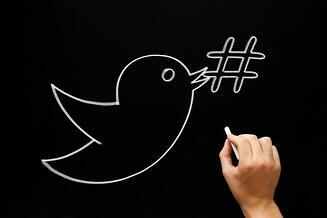 Jump into Twitter chats with relevant brands to gain more followers. Pick a topic that a wide range of people can chat about. Co-host with other leading brands within your industry. Remember that two-thirds of Twitter users buy from brands that they follow. This formula is simple: ask for shares. And when you get a share, give them a freebie! Give content that promotes education, like a handy infographic. Offer freebies that regularly come, like a monthly newsletter with subscriber-only information. People only spend an average of 20 seconds visiting a website. If you’ve only got 20 seconds to shine, take advantage! You can lengthen that time by just asking your audience. Explain why you want your followers to share your content or business. If people know the reason that you’re asking, they are more likely to respond. KISS (Keep It Simple Stupid). Don’t ask for too much, only one thing. 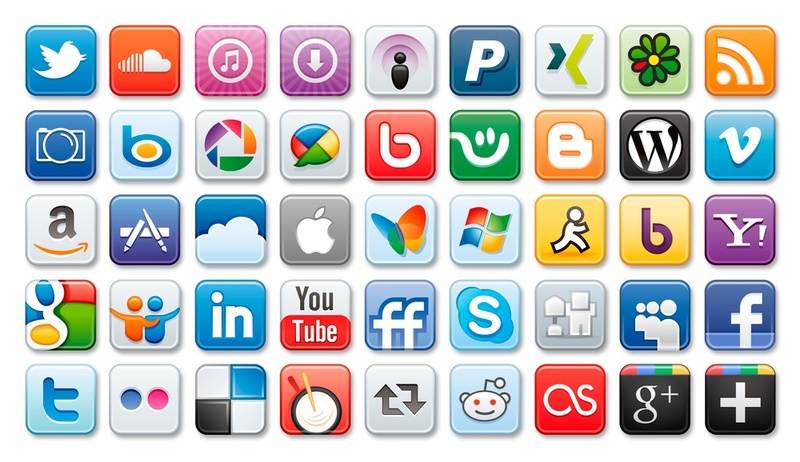 Rather than include social media buttons, encourage your website visitors and customers to follow you on social media. Make it easy for them to find you with links on your page. Place your social media widget on the upper left-hand side of the page. Don’t share every single social media profile, just the highest-performing ones. Include Facebook, Twitter, and Instagram, although Google+ is also helpful for blog traffic. I love this headline analyzer because it tells you word balance, headline length and sentiment. The Hemingway App Editor allows you to copy and paste any text to analyze your readability, word length, adverbs, passive voice, and how easy/difficult it is to read your sentences. I dare you to try one of these tactics today. Only one! And I bet you’ll notice your engagement boost. And tomorrow when you try another strategy, you’ll probably discover that you have more social media friends. And next week when you’re doing three of these simple things, you’ll be proud of how much stronger your brand has become.